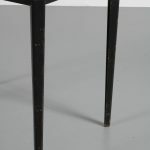 This is a unique little side table in a very well made design! 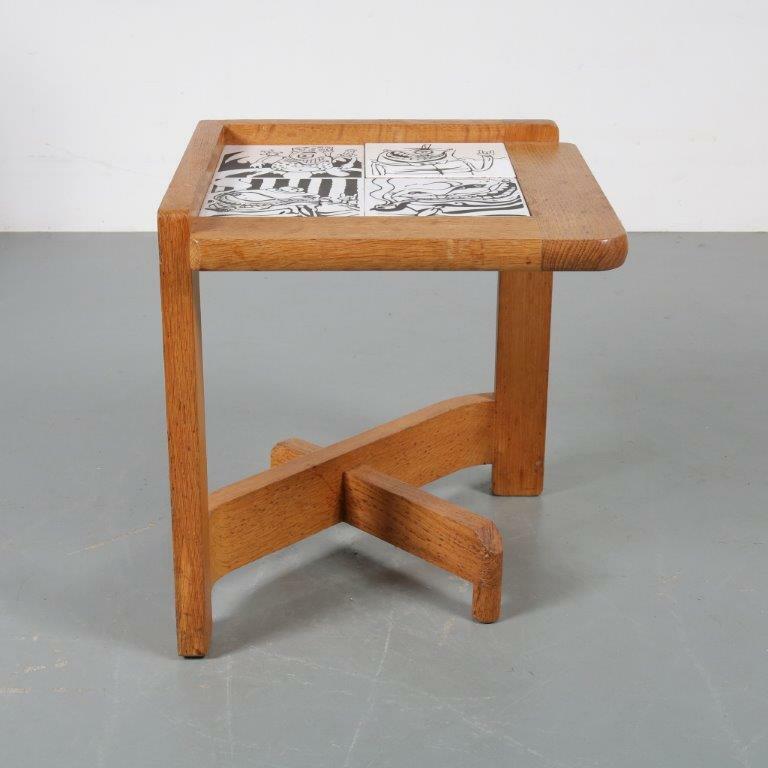 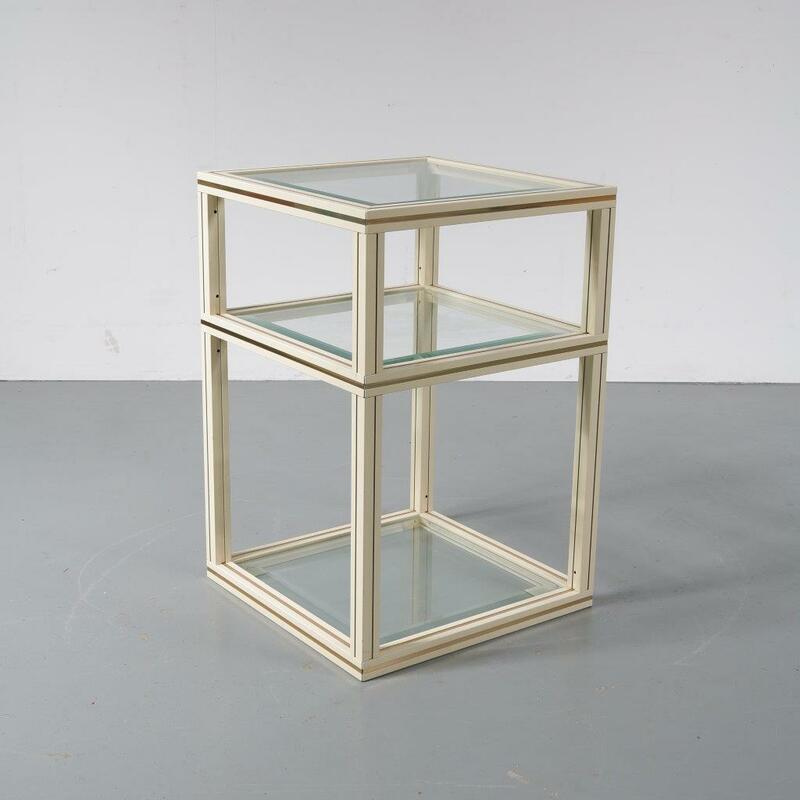 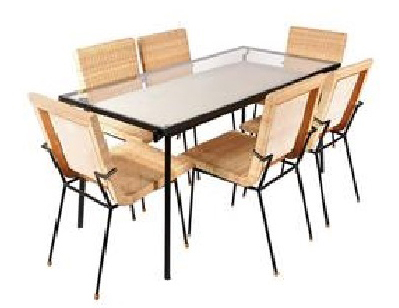 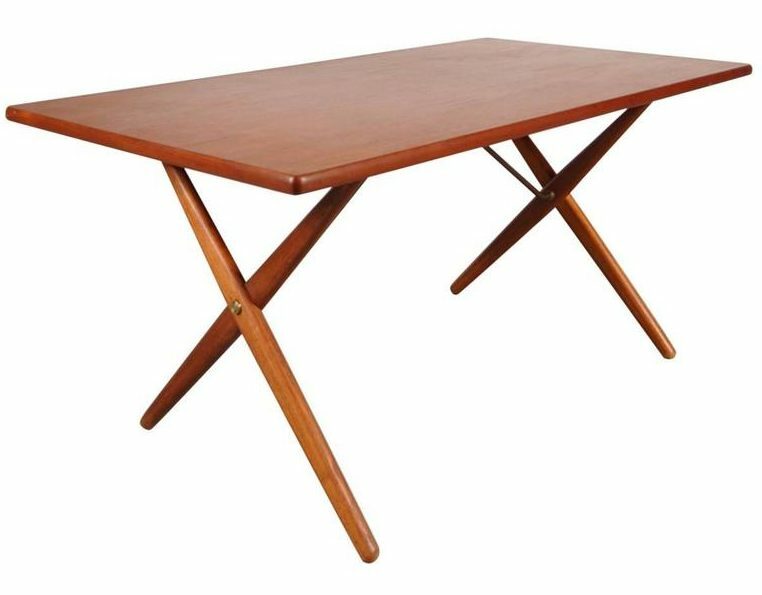 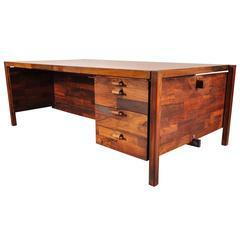 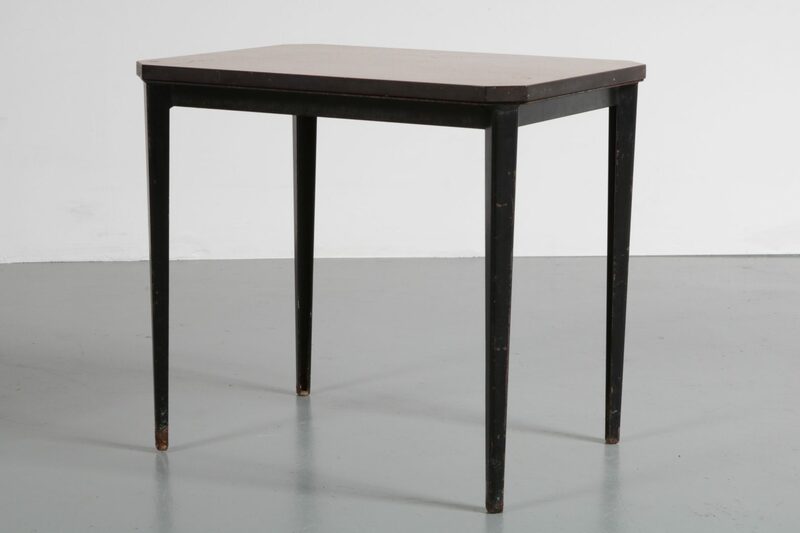 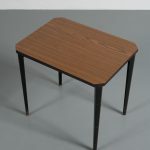 It is designed by Wim Rietveld according all the high standards of midcentury Dutch design. 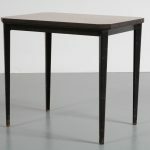 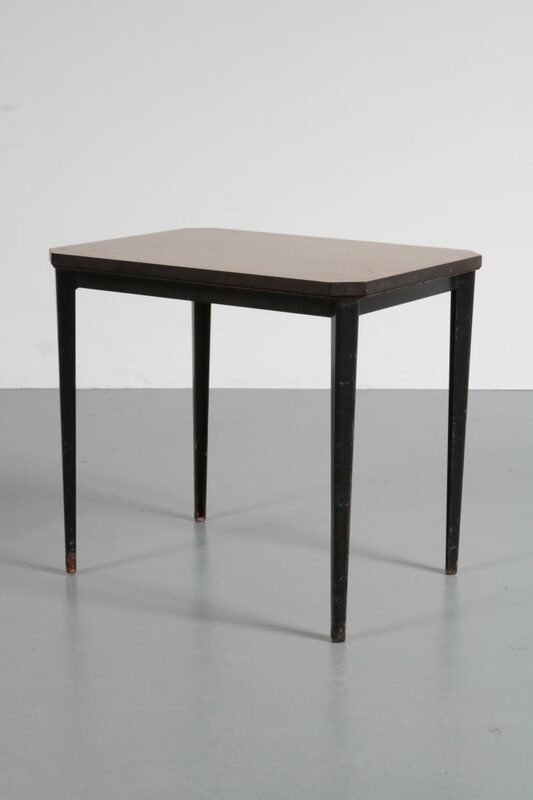 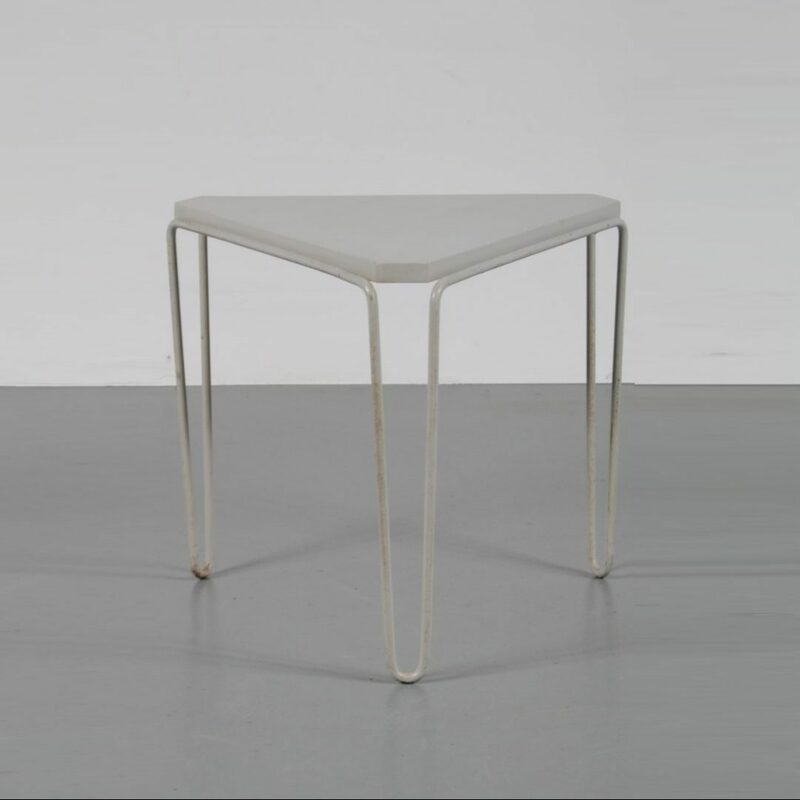 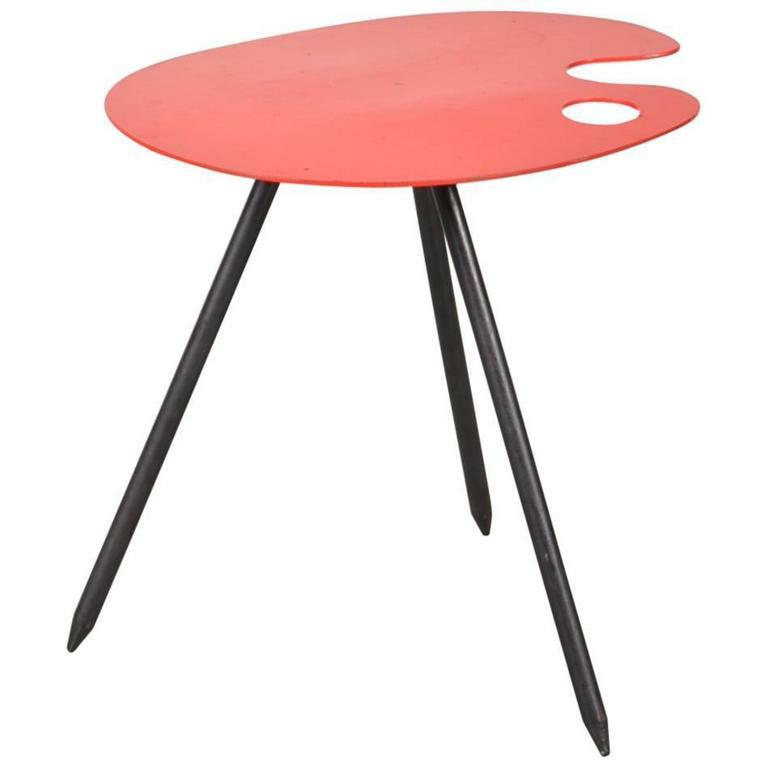 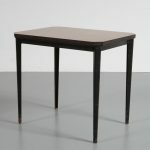 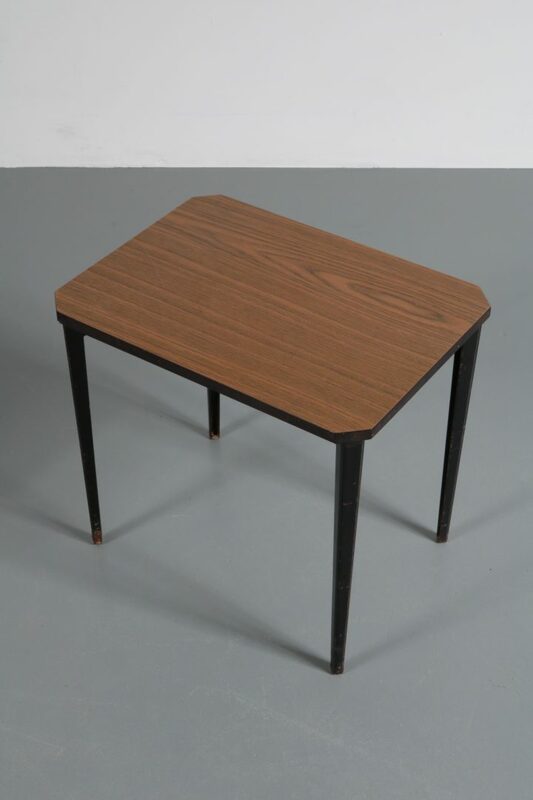 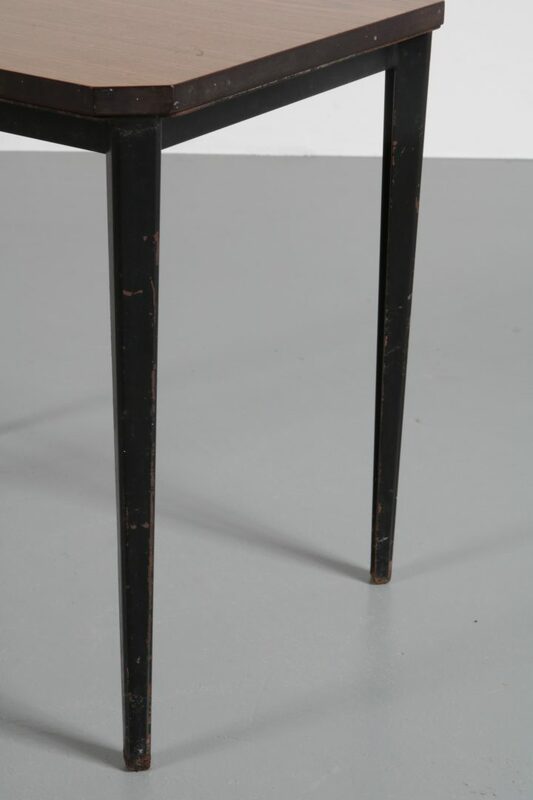 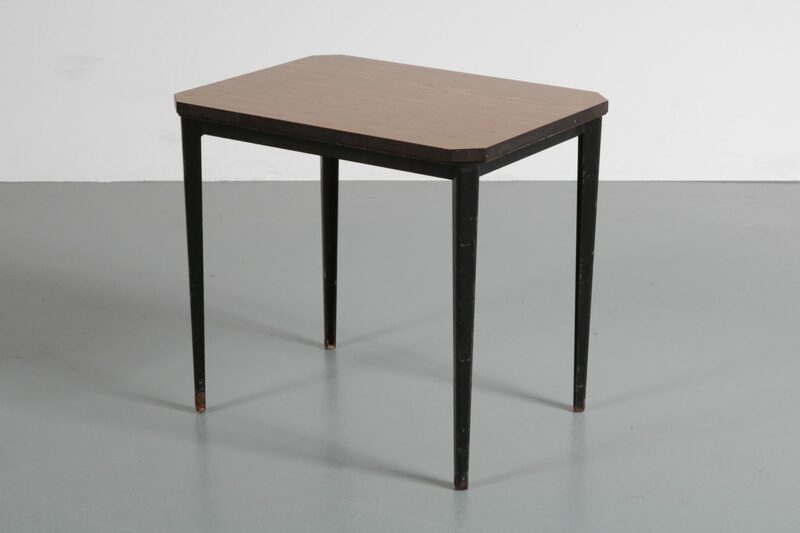 The legs are slightly more narrow underneath, giving the tiny table a sense of luxury. 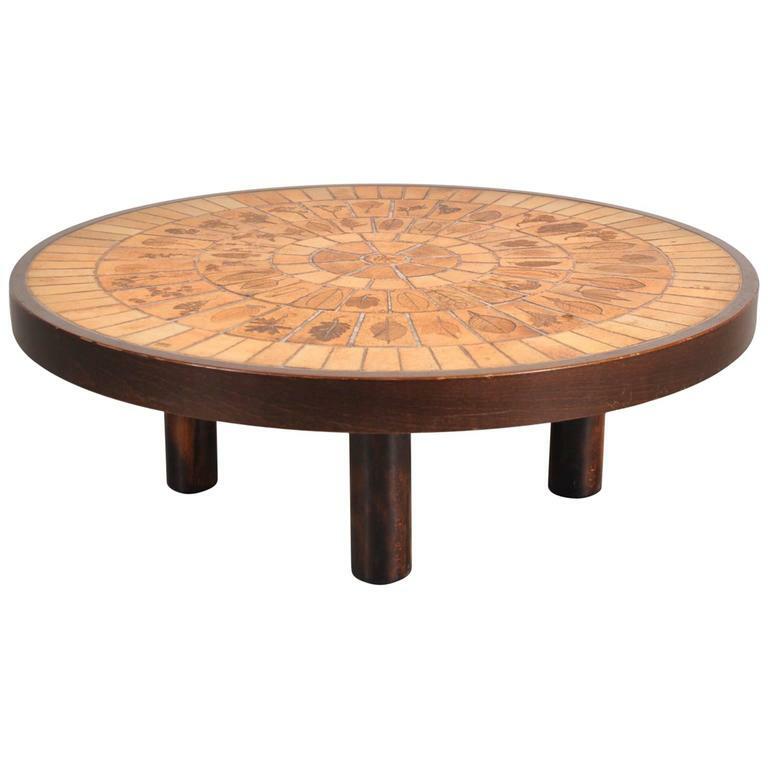 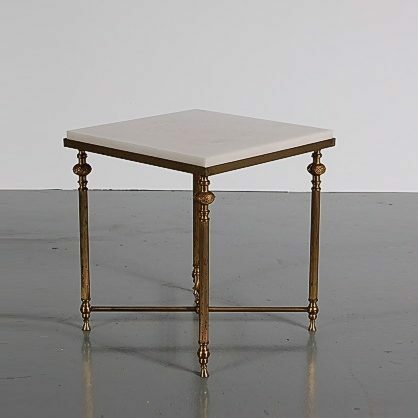 Because of it’s beautiful elegant design and it’s unique size, this table would make a one of a kind addition to any (modern) interior! 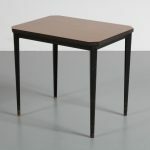 It is mdae of high quality, deep brown wood and remains in very good vintage condition, preserving a beautiful patina.